Oftentimes, our earliest friendships are the most unforgettable. Such is the case for this little pony named Breeze, and the plush pal who helped him get to where he is today. In 2013, when Breeze was just a few hours old, he was rejected by his mother and needed someone to step in and save him. 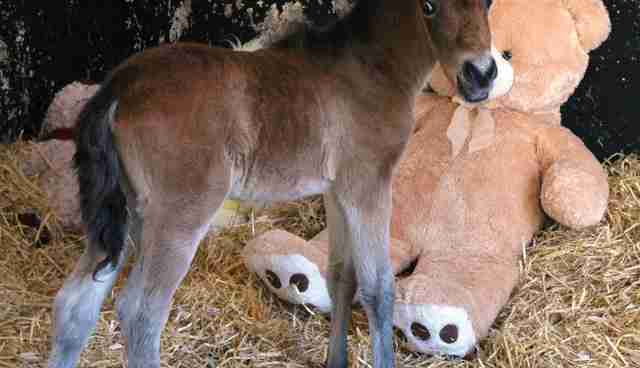 Fortunately, he was rescued and relocated to the Mare and Foal Sanctuary, a facility in North Devon, England, which cares for needy equines like him. 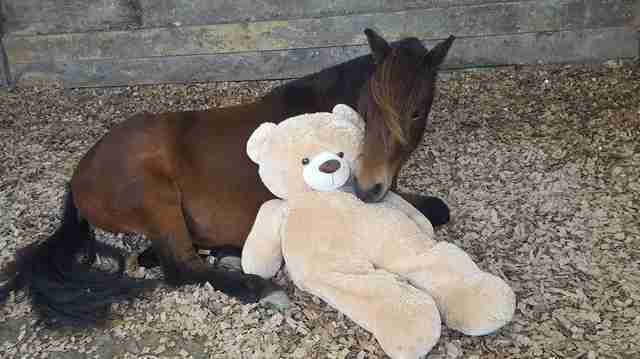 There, Breeze was soon introduced to his very first friend - an oversized stuffed bear, named Buttons, who would serve as a surrogate mom of sorts to heal his heart and keep him company when he needed it most. Photos of the two together at the time captured hearts around the globe. And it's easy to see why. It's been three years now since the world came to know of Breeze and Buttons - and while a lot has changed, some things have stayed the same. Breeze has blossomed from a fragile newborn into a healthy, rambunctious pony. Buttons, meanwhile, has gone on to work his magic comforting more orphaned horses who needed someone to cuddle up with. Recently, however, the sanctuary staff decided to bring Buttons and Breeze back together for a visit. It was almost like they'd never been apart. "When we reunited Breeze with Buttons we could see how pleased he was, there was a lot of sniffing and licking, then Breeze decided to give Buttons a tour of his new stable and carried him around by his ear," the Mare and Foal Sanctuary wrote online. "They then snuggled up together and Breeze snoozed the afternoon away." 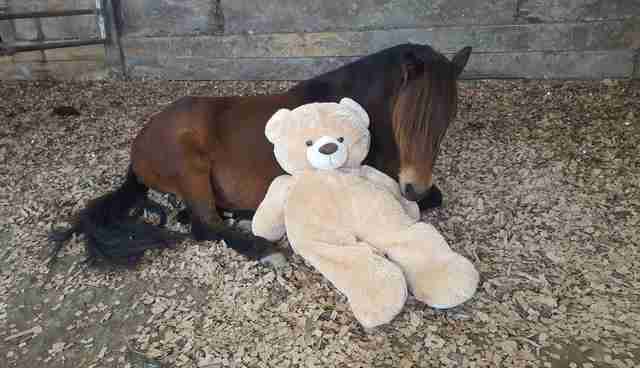 Breeze is said to be thriving at the sanctuary, where he now spends his time with new friends in a herd of older horses - thanks in no small part to the stuffed bear whom he clearly hasn't forgotten.